Twin brothers who married twin sisters are now planning to move in together and have babies on the same day. 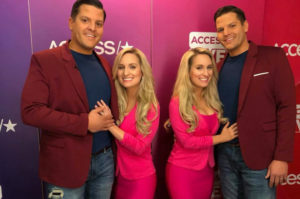 When 35-year-old Jeremy and Josh Salyers met 33-year-old Briana and Brittany Deane, the twins called it “a double fairytale” and now, they are planning to have synchronized pregnancies and are hoping to raise their families together. 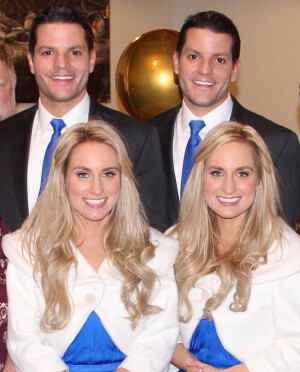 Jeremy and Josh Salyers met Briana and Brittany Deane at a festival for twins called Twins Days Festival that was held in Twinsburg, Ohio in 2018, they said that it was love at first sight. Briana is now married to Jeremy and Josh is married to Brittany. If you want to know more about the story of the twins, you can watch the TLC Documentary “Our Twinsane Wedding”. In the documentary, Jeremy told everyone about their plans to impregnate their wives with having the hope of having babies on the same day. Josh Salyers admitted that a lot of people react negatively when they hear that they are planning to raise their kids together.